The Guardian 380 is built on the design of NAA's popular 32 ACP. The Guardian 380 ILS is similarly a 6+1 shot double action only pocket pistol built of 17-4 pH stainless steel. The ILS (Integral Locking System) safety system allows the hammer to be locked into place so the gun can't be fired until it has been unlocked by the key, releasing the hammer and enabling the firing pin. When unlocked, the button is flush with the black plastic grip with the hole in it (required for the key and ILS button). 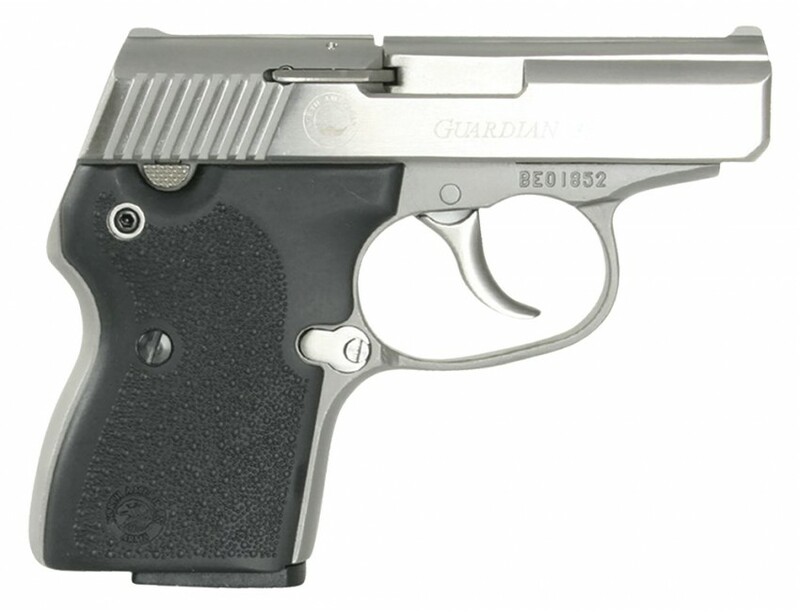 The 380 Guardian ILS offers the ultimate is portability and safety.